Add every email and event to Salesforce. Emails and calendar notices contain critical sales information. 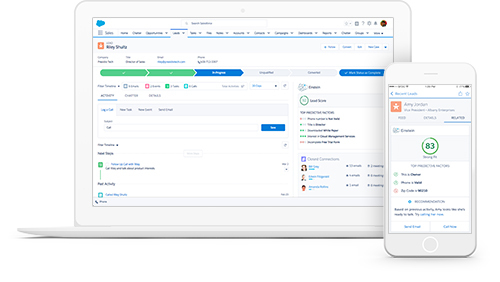 Einstein AI automatically adds emails and events to the right Salesforce records, helping reps save time and find answers faster.